This weekend marks a little remembered anniversary. On February 19, 1674, the Treaty of Westminster was signed, ending the Third Anglo-Dutch War. While most of that conflict took place in Europe, it did have a brief impact on New York City. 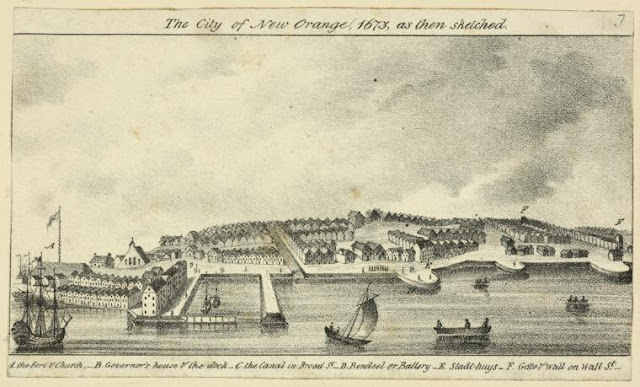 Even though the colony of New Netherland had been taken over by the English ten years earlier, Manhattan was briefly held by the Dutch during the war and renamed New Orange. In September 1664, Peter Stuyvesant and the Dutch West India Company had surrendered to the English in a bloodless takeover. 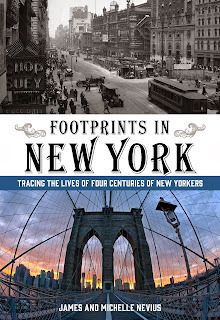 While the city changed its name from New Amsterdam to New York (in honor of its new patron, James, Duke of York), very little changed in the day-to-day lives of New Yorkers, and the city continued to have a distinct Dutch and Dutch-sympathizing population. Thus, it wasn't that surprising that when war broke out between the English and Dutch in April 1672 that many New Yorkers favored the Dutch side. In July 1673, Dutch Admiral Cornelis Evertsen arrived in New York harbor and after a brief battle -- aided by New York's Dutch population -- was able to capture the fort at the southern tip of Manhattan. (That fort, then called Fort James and originally built as Fort Amsterdam, stood on the site now occupied by the Museum of the American Indian.) In September 1673, Captain Anthony Colve arrived to be installed as governor of the colony, which had been renamed New Orange in honor of the Dutch royal family. Less than four months later, the Treaty of Westminster formally ended the war and handed the colony back to English control. Colve stayed on through October 1674, when his replacement, Sir Edmund Andros, arrived. After a negotiation of the terms of the handover, Andros took over on November 10. The name of the colony reverted to New York, which it has remained ever since. The image at the top, from the collection of the New York Public Library, purports to show New Orange as it appeared in 1673; however, the engraving was done in the 19th century and there's no corroborating evidence that it was sketched in 1673. 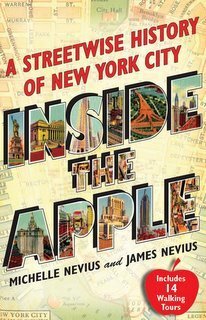 When the Big Apple was named the New Orange! Interesting.